Help Maine Public capture and document the unique words, phrases and accents of Maine. What were some of the local expressions you used growing up that you don't hear anywhere else? Or perhaps anymore? 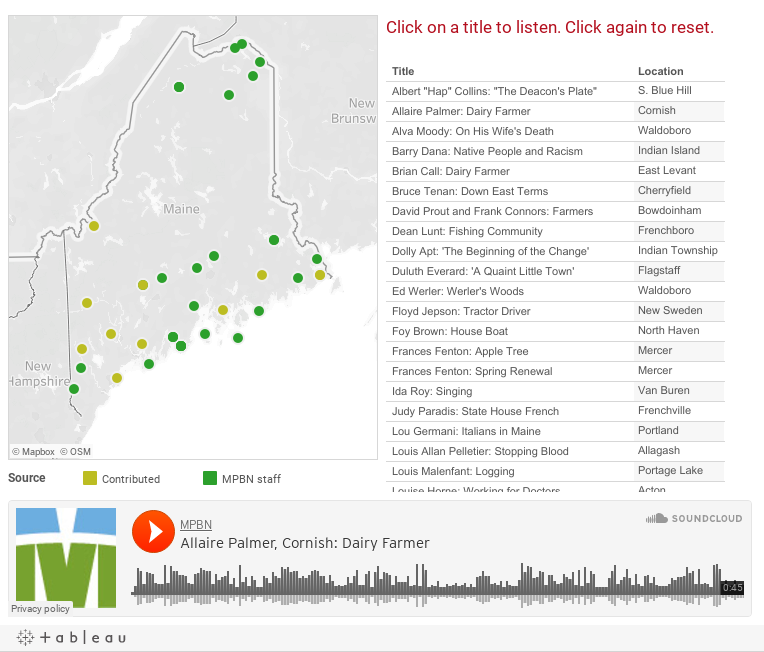 Record yourself, your aunt, grandmother or neighbor using your smartphone, tablet or PC and send us the audio to include in a new repository of Maine voices. Email the file to dialects@mpbn.net and we will add selected entries to the dialect map. Recording help: iPhone, Android (coming soon). To listen to the Maine Calling episode on the project, click here.